We offer an economic, simple and customizable template. Here are just a few of our creations, made by the restaurant owen or by LivePepper's graphic designers. 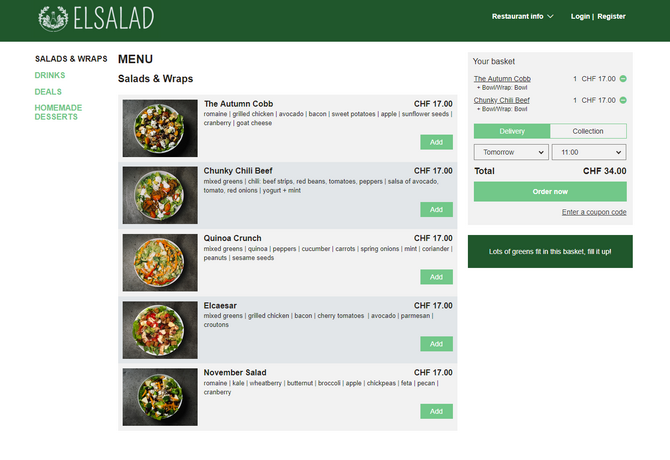 Takeaway and delivery of salads in Geneva, Switzerland. 2 restaurants. 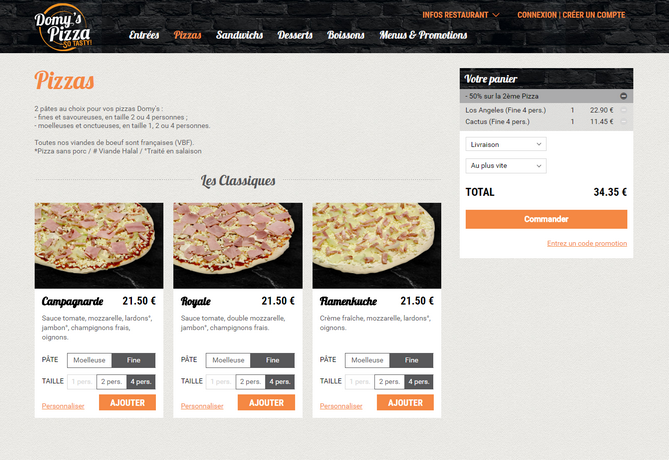 Online ordering site designed by the restaurateur in line with their existing corporate website. Restaurant locator page with validation of the delivery area. Step-by-step menu composition. One-click payment with an option for saving credit card details. POS integration. 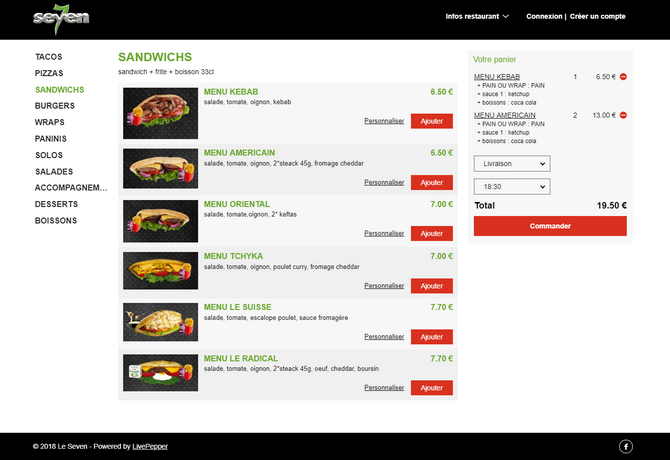 Online ordering site designed by LivePepper graphic designers: adaptation of the template colours based on the existing website's graphic charter; creation of the banner and the favicon. Restaurant locator page with validation of the delivery area. Insertion of a banner under the basket. Step-by-step menu composition. Drop-down menu. 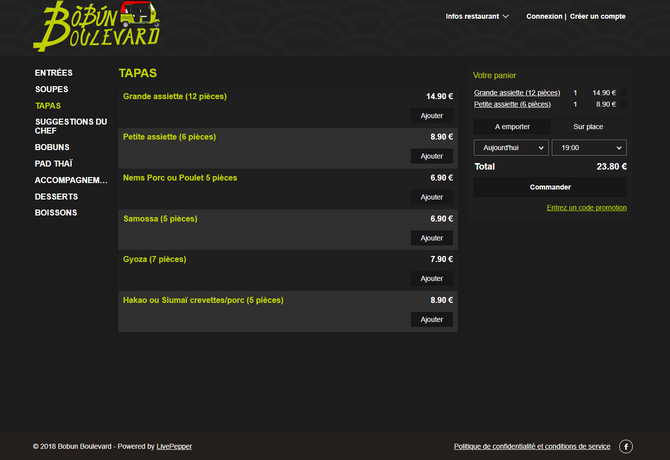 POS integration. Takeaway and delivery of pizzas in Morlaix, France. 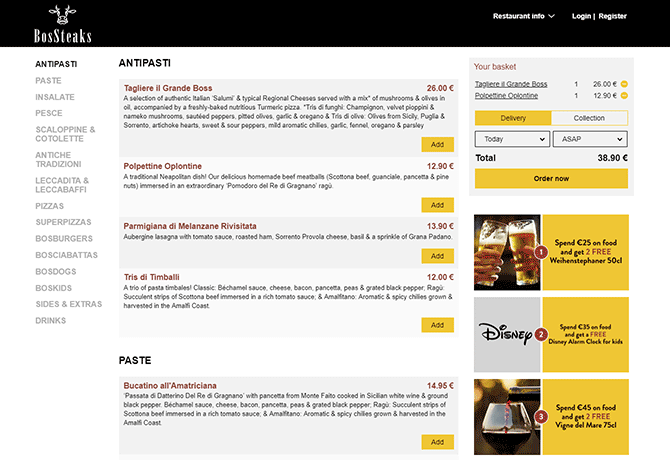 Corporate website and online ordering site designed by LivePepper graphic designers: adaptation of the template colours based on the restaurateur's graphic charter; creation of the banner and the favicon. Insertion of a background image. Step-by-step menu composition. POS integration. Takeaway and delivery of Italian food in Malta. 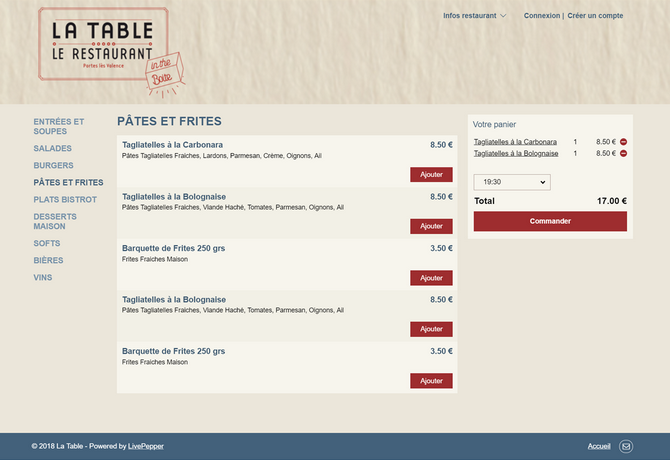 Corporate website and online ordering site designed by LivePepper graphic designers: adaptation of the template colours based on the restaurateur's graphic charter; creation of the banner and the favicon. Insertion of banners under the basket. Step-by-step menu composition. POS integration. 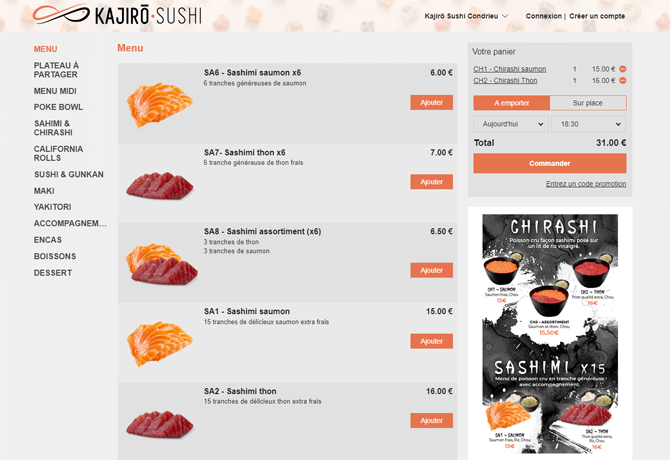 Takeaway and delivery of sushis in Mougins, France. 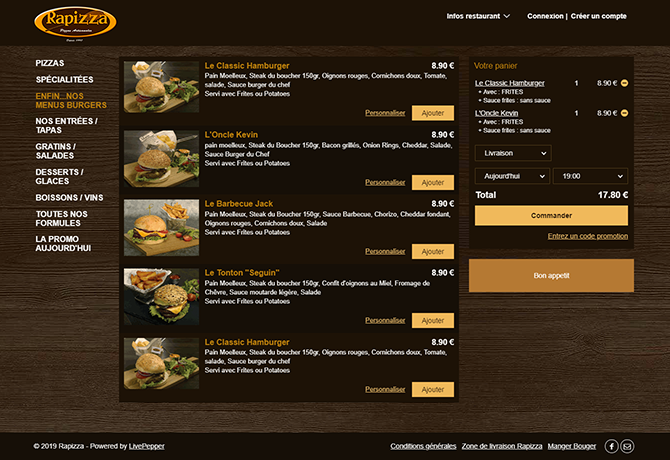 Corporate website and online ordering site designed by LivePepper graphic designers: adaptation of the template colours based on the restaurateur's graphic charter; creation of the banner and the favicon. Takeaway and delivery of Thai dishes in Lyon, France. 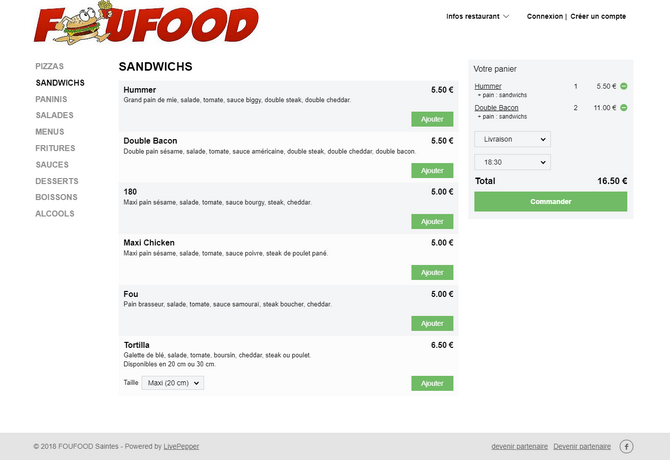 Online ordering site designed by the restaurateur. 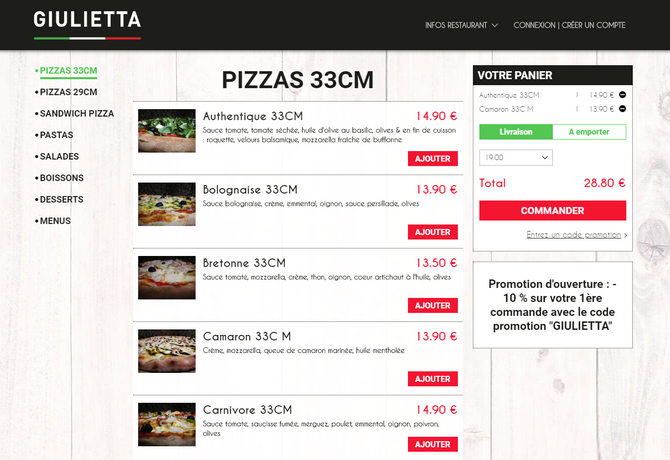 Takeaway and delivery of pizzas in Limoges, France. Takeaway and delivery of snacks in Amboise, France. 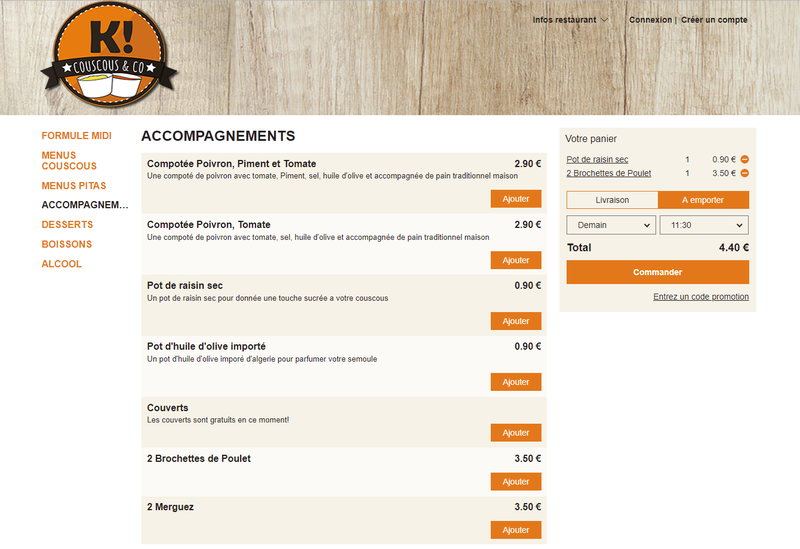 Takeaway and delivery of traditional dishes in Portes les Valences, France. 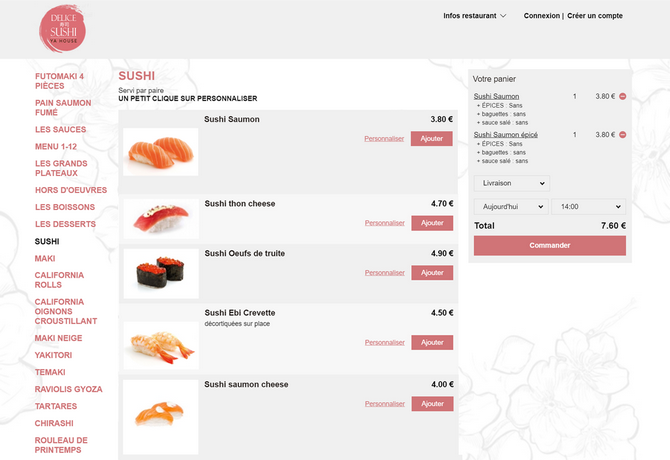 Online ordering site designed by LivePepper graphic designers: adaptation of the template colours based on the existing website's graphic charter; creation of the banner and the favicon. One-click payment with an option for saving credit card details. Takeaway and delivery of snacks in Saintes, France. 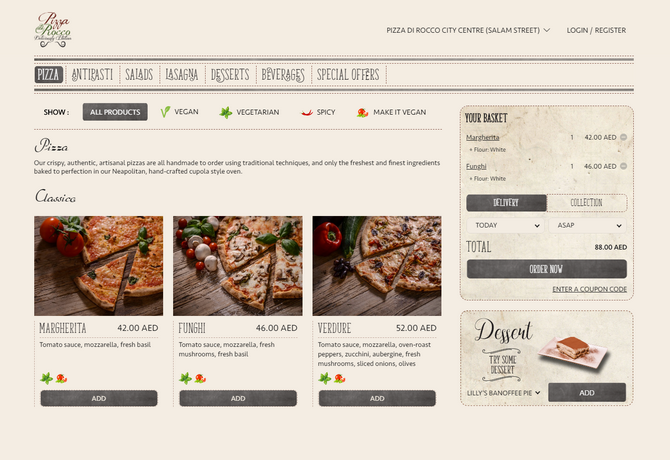 Corporate website and online ordering site designed by the restaurateur. Takeaway and delivery of pizzas in Peyrins, France. 2 restaurants. 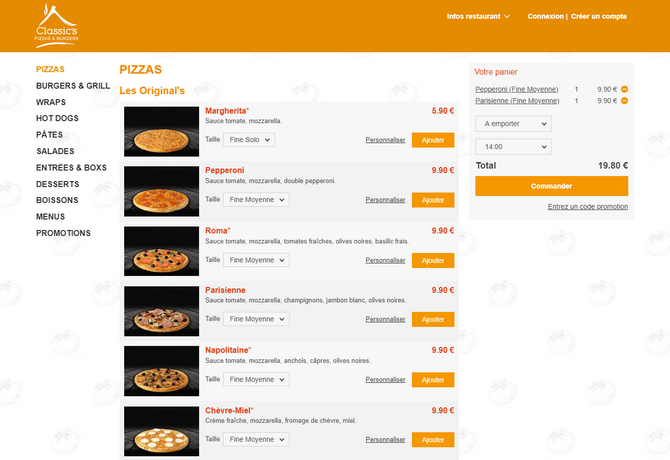 Online ordering site designed by LivePepper graphic designers: adaptation of the template colours based on the existing website's graphic charter; creation of the banner and the favicon. Restaurant locator page with validation of the delivery area. One-click payment with an option for saving credit card details. 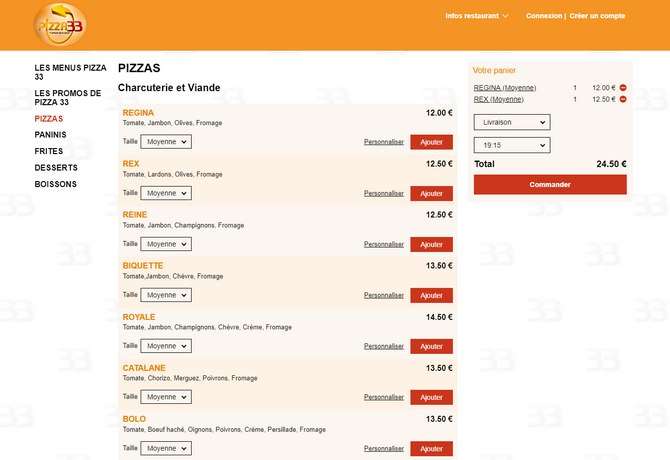 Takeaway and delivery of pizzas in Villenave d’Ornon. France. Takeaway and delivery of pizzas in Inverness, Scotland. 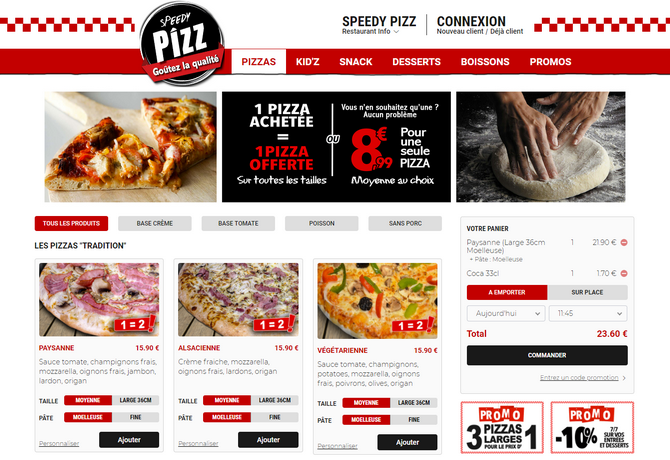 Online ordering site designed by LivePepper graphic designers: adaptation of the template colours based on the existing website's graphic charter; creation of the banner and the favicon. Restaurant locator page with validation of the delivery area. 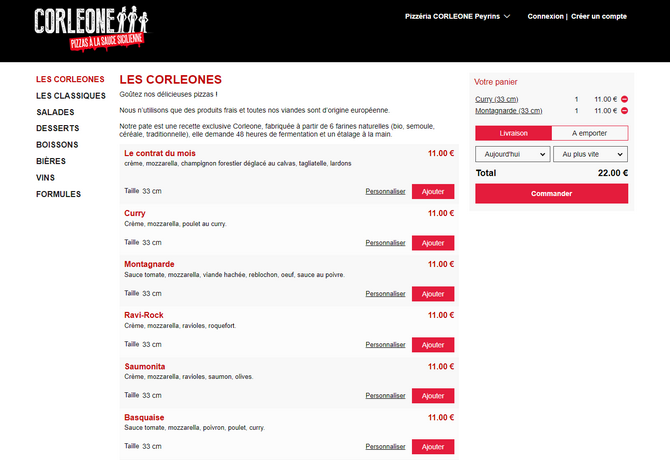 Takeaway and delivery of couscous in Nanterre, France. 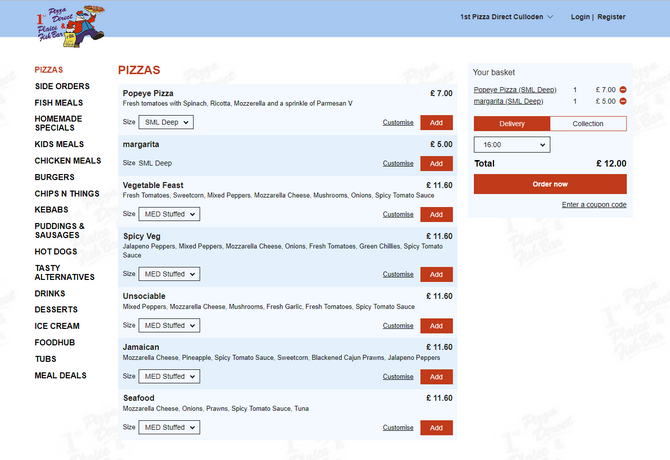 We offer a complete service to design and develop online ordering sites for restaurants. Here are just a few of our creations.